I’m pleased to share a few highlights from today’s UMB earnings release for the third quarter. Our results reflect continued margin expansion, positive operating leverage, strong contributions from our private wealth, corporate trust, and asset servicing businesses—among others—and substantial growth in our national lending platforms. UMB Fund Services’ assets under administration stood at $207.9 billion at quarter-end, compared to $201.5 billion at the end of second quarter, driven by new clients and market appreciation. Improved noninterest income related to new alternative and mutual fund servicing business, coupled with lower expenses, resulted in a 35 percent linked-quarter increase in income before taxes for the segment. In our commercial and transportation-related factoring verticals, we increased average balances by 11.8 percent compared to last quarter. Factoring is a volume business, and the receivables are often more important than outstanding balances. In the 15-year history of Marquette Transportation Finance, approximately $15 billion in receivables have been processed. 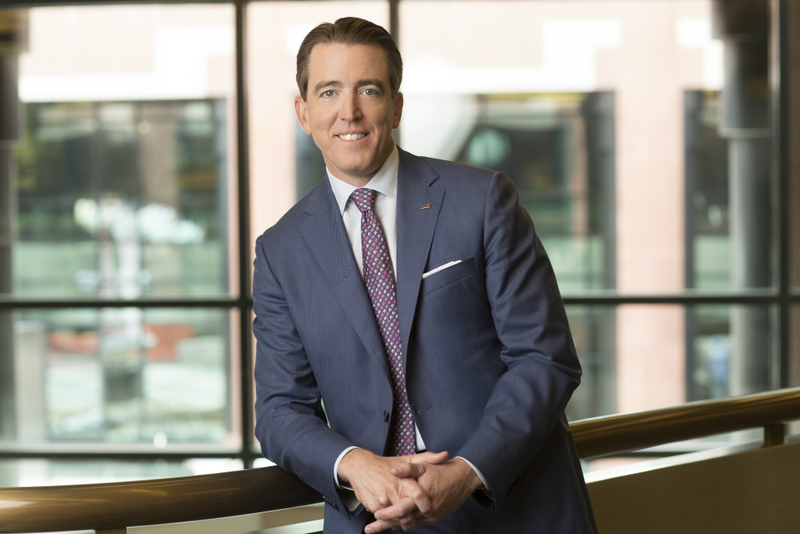 New business, retention and growth of existing client relationships combined to drive a quarterly increase of 14.7 percent in average balances, the best quarter since we acquired the business as part of the Marquette Financial Companies acquisition in 2015. Operating leverage indicates our effectiveness by measuring the margin between revenue growth and expense growth – an area of high interest to the investment community. As always, we continue to focus on widening that gap by managing expenses as we invest in our business to drive profitable revenue growth over time. Year-to-date 2017 revenue has increased 9.3 percent, and expenses grew 4.7 percent compared to the same period last year, producing 4.6 percent operating leverage. We saw some softness in a few loan categories this quarter, including slower growth in some commercial verticals, which was offset by demand in commercial real estate, asset-based lending and factoring. Average loan balances of $10.9 billion for the third quarter represent a year-over-year increase of 7.2 percent and a linked-quarter annualized increase of 3.7 percent. Overall, this was a solid quarter, and we are looking forward to a successful fourth quarter. As we look to year-end and what lies ahead in 2018, we are focused on growing our key business segments, while identifying and strategically targeting areas of ongoing opportunity and improvement.